Growing up in the wilds of Petaluma, California, Caitlin developed a deep love and respect for the artisans and farmers at the heart of the region's restaurant, beer and cheese industries. The beauty and bounty of Sonoma County made a lasting impression on her, so upon graduating from UC Davis, Caitlin moved to San Francisco where she immersed herself in the food industry further. 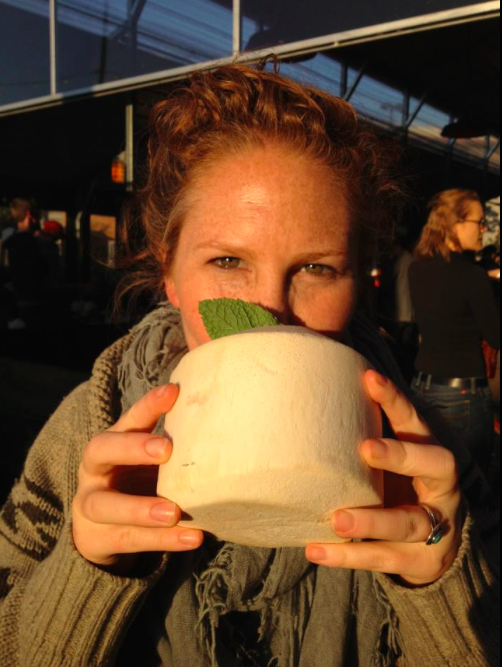 After ten years of working in some of San Francisco’s top restaurants while simultaneously freelancing as a food and travel writer, Caitlin decided to dive head first into hospitality public relations in 2010 so that she could share her passion with a wider audience. Now, as an independent hospitality PR and social media consultant living in Oakland, Caitlin thrives on sharing the stories of the people, places and products that inspire her daily. Over the last eight years, she has enjoyed directing campaigns for numerous high-profile restaurants, cheese festivals/conferences, breweries, chefs and destinations while garnering recognition, awards and top tier placements in food, travel and lifestyle publications. Let's chat over beers and a cheese plate!